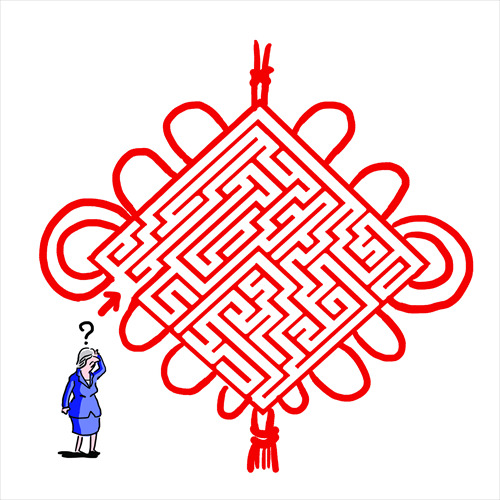 Are Sino-UK relations sweet or sour? The consequences of the British electorate's vote to leave the EU are still emerging. Undoubtedly one of the most significant is the effect the resulting change of government is having on relations between China and the UK. Under David Cameron, Britain sought to improve ties with China. There was talk of a new "golden era." In 2015, Chinese President Xi Jinping visited the UK, and a host of trade deals were signed. Probably the most important of these was the decision to allow China General Nuclear Power Group (CGN) to participate in the construction of a nuclear reactor at Hinkley Point, in conjunction with the French company EDF. Everything, however, appears to have changed with the handover of power from Cameron to Theresa May after Brexit. Although the Hinkley Point project has not been cancelled, it has been suspended, pending review. A final decision is expected in the autumn. Although no details of her thought process have been revealed, it is clear that May believes Cameron was too hasty in allowing CGN to be involved in the EDF deal. To be clear: the Hinkley Point issue is not about national pride, as far as British people are concerned. The problem is not that Britons feel offended by having China build one of their nuclear reactors. No, the question that is on everybody's minds, whether it is articulated publicly or not, is this: is it wise, in security terms, to trust China with nuclear technology on the British mainland? This is an understandable fear, because every country on earth has to be careful about allowing other nations to take over key elements of national infrastructure. In Britain there is, however, not the same suspicion of the French company EDF. This is because the French political system and culture are relatively similar to Britain's. France is close geographically, and familiar. Under the EU umbrella, historical animosities have been overcome and France is now seen as a trusted partner. China simply does not as yet enjoy the same status as far as British people are concerned. It is an uncomfortable truth that there is always going to be an underlying mistrust of faraway, unfamiliar China in Britain until the day that fears concerning Beijing's long-term geopolitical goals are defused. It is difficult to see how China can demonstrate its peaceful intentions in the short term. Efforts to promote China's soft power in Britain have so far not borne much fruit. British people, and Europeans in general, tend to perceive China's political system in a negative light, and this means that there is a lack of trust. If Britain decides to cancel the project, or at least China's involvement in it, that will naturally cause Sino-British relations to deteriorate and mutual trust to be damaged. If Britain rubber stamps it, there are going to be British skeptics and critics of CGN's involvement for years to come, tarnishing relations between the two countries in the next decade. It seems that Hinkley Point is likely to become a sticking point whichever way the decision goes. The British government has therefore dug itself into a bit of a hole. This, like the Brexit vote, is in fact Cameron's fault, because it was entirely his decision. By hastily agreeing to CGN's involvement in Hinkley Point he created a situation in which it is impossible for Britain to change its mind without damaging relations with China. May is therefore left in the unenviable position of damned if she does, damned if she doesn't. May is going to have to think carefully how to handle what has become a political hot potato rather than a pure business deal. If she boots CGN out of the deal, she risks Beijing's displeasure, and it will probably take years to repair relations. If she allows CGN to stay in, she will likely lose face among a large portion of the British electorate. Since it is clear from the Brexit vote that more than half of British people are suspicious of foreigners, because putting a lid on immigration was the key issue in the vote, it is likely that at least fifty per cent are also against China's involvement in Hinkley Point. May cannot really afford to alienate half of her public at this early stage in her premiership. Thus there is really no clean solution to the Hinkley issue. Probably, as with Brexit, some kind of prolonged process of inconclusive dithering is going to take place, followed by some kind of hedged decision which partially suits both sides, but really satisfies neither. In any case, both Britain and China have a lot of work to do if they are going to make their partnership function properly. China has still to convince the British public that it is trustworthy, while Britain has to persuade China that it genuinely wants to continue with the partnership.